I'm always a sucker for a new lip balm or gloss, and when I find two-in-one, I latch on to it and use it to the bare end. That's what happened when I sampled Korres Lip Butter. It's .21 oz of glossy goodness. Contained in a pot, this buttery balm melts on your lips and offers a hint of color, lot shine, and hydration for dry lips. This balm is perfect for the winter. It saves me from carrying both a balm and a gloss. Since I don't like applying it with my finger, I use the Sephora retractable lip brush. The new RoC® MULTI CORREXION™ Skin Perfecting System is clinically shown to transform skin in just two weeks. This three-step daily regimen, which contains everything needed to care for skin every day, offers innovative formulas infused with powerful anti-aging ingredients, clinically shown to diminish the look of fines and wrinkles, even tone and texture and reverse the signs of photo-damage for beautiful, brighter, younger-looking skin. The RoC® MULTI CORREXION™ Skin Perfecting System contains RoC® MULTI CORREXION™ Daily Perfecting Cleanser, for use twice a day, RoC® MULTI CORREXION™ Daily Perfecting Crème SPF 30 for morning application, and RoC® MULTI CORREXION™ Intensive Night Concentrate for Face and Eyes for nighttime application. This breakthrough daily skincare system contains an exclusive combination of products and powerful, patent-pending ingredients specially designed to work together, creating transformational results. Within two weeks of use, women in a clinical trial showed improvements in pigmentation and fine lines were visibly diminished. 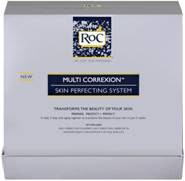 Enter to win a RoC® Multi Correxion Skin Perfecting System! This giveaway is open to US residents only. The contest will end on Thursday, February 11th. I will randomly select the lucky winner and announce them on Lipgloss Break, so keep checking to see if you're a winner - Good Luck! Are you a mascara fanatic? We are too. 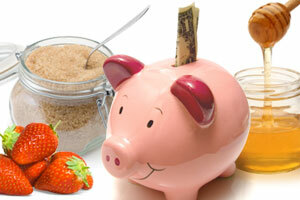 However, that doesn't mean we'll drop lots of cash on high-end mascaras (well, OK, it does, but we don't JUST do that). Especially when there are these cheap-but-awesome ones out there. Check them out, and say good-bye to your $20-a-tube days. Thanks to CozyWallet.com for the following coupons! Print this coupon for a Free Sample Pack at Aveda. Check for the store nearest you! While supplies last. Forget the leftover wrapping paper from the holidays, wrap your sweetheart's Valentine's Day gift in a reusable BAGGU Bag! Using a BAGGU Bag is not only a great alternative to disposable wrapping paper, but it doubles as a gift itself! Check out this video for instructions on how to wrap a gift using a BAGGU bag! Enter to win a BAGGU Bag in each size! This giveaway is open to US residents. The contest will end on Sunday, February 7th. I will randomly select the lucky winner and announce them on Lipgloss Break, so keep checking to see if you're a winner - Good Luck! There’s a new kid in town…and by town we mean, Sephora. First Aid Beauty hits the shelves of over 100 Sephora stores today. Finally, there is a prestigious answer to skin’s pesky problems! First Aid Beauty is a premium collection of skincare that caters specifically to sensitive skin and universal beauty challenges. The line offers both daily skincare basics and intense therapy and emergency care for common skin problems and beauty challenges. First Aid Beauty is available at Sephora stores as well as Sephora.com. I received a sample of the Healing Stick to try and was very impressed with the results. I suffer from eczema and most lotions don't help, but the Healing Stick worked wonders with spot treatment. My dry patches instantly faded from red and were less dry and irritated. It's great to keep in my purse for emergencies and it's airport friendly. Do your eyes need something extra? Packed with peptides, natural plant oils and humectants that target wrinkles, dark circles and puffiness, this rich concentrated cream visibly revives eyes. 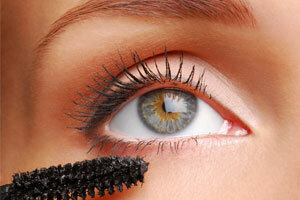 Use morning and night- warm between fingers, then pat gently around eye area. Once cream is absorbed, follow with Tinted Eye Brightener or Concealer. Bobbi’s Tinted Eye Brightener, now in a NEW portable pen! Back-of-cab makeup artists (you know who you are)- with just a quick twist and a click, this lightweight Concealer instantly brightens under-eye circles and refreshes your makeup. Available in eight shades. Instantly give your eyes a “lift” with defined eyebrows. These creamy, blendable pencils give you the natural look of eyebrow powder with the precision of a pencil and come with their own sharpener. Available in five shades. Introducing two new shades of Brightening Lip Gloss. This sheer, reflective formula wakes up your face and helps create the illusion of fuller lips. Wear alone or on top of your favorite Bobbi Brown lipstick.